SARS 2013: 10 Years Ago SARS Went Around The World, Where Is It Now? TORONTO - For a little over four months in 2003, the world was gripped in the clutches of an alarming new disease, one that spread at jet speed to at least 30 countries. Then, as quickly as it emerged, SARS vanished. The World Health Organization declared severe acute respiratory syndrome contained on July 9, 2003. In the year after, SARS made the occasional appearance. There were four cases spotted in China in December 2003 and January 2004. As well, three separate laboratory accidents resulted in infections; in one case, an ill lab worker spread the virus to several other people. But the virus hasn't been seen since, leaving people to wonder: Where did SARS go? Was it truly vanquished? And might it ever return? Paradoxically, experts say, the answer to the last two of those questions is yes. 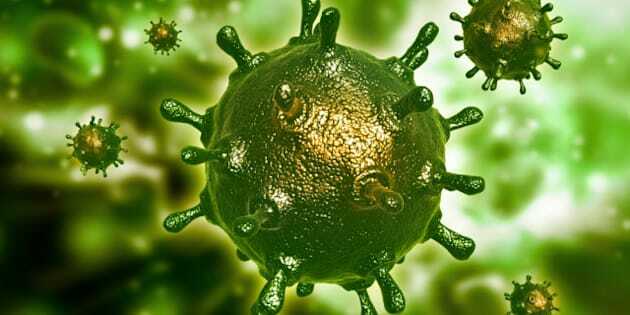 The precise coronavirus that caused the disease we called SARS is gone, they concur. The only way that virus could return is if a scientist who became infected while working in a laboratory started a chain of transmission outside the lab. Measures taken in 2003 to contain the outbreak — isolating SARS patients and quarantining people who had been exposed to a SARS case to prevent them from exposing others — succeeded at putting out that particular fire. "That human adapted virus, that spread all the way to Singapore, Canada and ... all that, that is not circulating currently in animals or in humans," says Malik Peiris, a microbiologist from Hong Kong whose lab was one of two to first identify the virus responsible for the explosive outbreak that killed 916 people worldwide, 44 in Canada. "(But) you can't be sure that SARS won't come back." That's because close relatives of the virus exist in nature. And the cascade of events that led a bat virus to spark a human disease outbreak could repeat themselves, experts warn. Species of bats found throughout Asia and into parts of Europe and North Africa carry SARS-like viruses, explains Dr. Christian Drosten, a coronavirus expert at the University of Bonn's Institute of Virology in Germany. If infected bats pass these viruses to mammals that come in contact with — or are eaten by — people, a new chain of transmission could be established. And these SARS-like viruses could well trigger a disease that looks virtually identical to that caused by the SARS virus, Drosten suggests. In fact, the SARS cases seen in China in December 2003 and January 2004 were caused by viruses that were SARS-like. They were not identical to the outbreak strain. In the aftermath of the 2003 outbreak, scientists pieced together a theory of how an unknown coronavirus made the leap into humans and started spreading among them. Several species of small, wild mammals sold live in markets and slaughtered for quick consumption in restaurants throughout southern China were shown to carry the virus. The main culprit was an animal called the palm civet, which looks a bit like a North American raccoon. That species paid a high price; officials in the Chinese province of Guangdong ordered a mass slaughter of civet cats in live animal markets — called wet markets — to contain the virus. "This could happen again. After SARS there was a short period ... where they stopped eating and selling these animals, but that's over. Those wet markets, they are all active again," he says. Though medical history has only observed one outbreak of SARS, it's conceivable that this type of spillover of SARS-like coronaviruses has happened before. For instance, an earlier outbreak could have happened in China when the country was more closed to the outside world than it is now, Drosten says. Or it could have happened in Europe before the science needed to identify the cause of unusual deaths had been developed. "In the Middle Ages, maybe one of the plague epidemics was in fact something else," he suggests. Infectious diseases expert Michael Osterholm uses the example of a volcano to describe the situation, likening these SARS-like viruses to the magma that roils under the earth's crust. "As long as those viruses are in that animal kingdom, there's always going to be a potential for an eruption," says Osterholm, director of the Center for Infectious Diseases Research and Policy at the University of Minnesota. led to its emergence still exist. Bats still carry SARS-like viruses. Small carnivores still eat dead bats. People in some parts of the world still trap small carnivores and sell them as food in markets crowded with other mammals. "When we look today at the human-animal interface, it's unlike at any time in history. Just the number of animals and humans in contact with each other, and how we have concentrated agricultural practices today. Something as simple as the size, even, of markets today," Osterholm says. "So the potential for exchange is so real." "Do I think SARS could come back? Absolutely. But it won't be the same virus. It's not like I have the sense that that virus is lurking out there just waiting for a comeback. But what gave us SARS as a system, a global system, is more intense today than it was 10 years ago."